A Beautiful Pravajra Yoga, 4 Vargottami Planets and Jupiter's Grace Make Pandit Jasraj Legendary! Pandit Jasraj is born with the watery and imaginative Cancer as the Ascendant Sign. It is remarkable to note the formidable combinations that are getting forrmed in the 7th House of Pandit ji's Chart. The Moon being the Lagnesh (Ascendant Lord) is placed along with the Sun, who happens to be the Lord of the 2nd House, Venus – the Lord of the 4th House and 11th House and Mercury – the Lord of the 3rd and 12th House. Such a strong combination of 4 important planets in his Chart give rise to a tremendous Rajayoga called the Pravajra Yoga, which blesses a native with extraordinary talent and everlasting fame. It is interesting to note that the Lord of the 2nd House (the Sun) is conjunct all the three planets which are considered important for interest, flair and success in the field of music, which are Venus, the Moon and Mercury, in the descending order of their importance in the field of music and arts. The Moon happens to be the planet of imagination, understanding, expressions and feelings. The Sun, in the case of Pandit Jasraj happens to be the Lord of the 2nd House and the planet who represents his voice and vocal abilities. From a general perspective, the Sun happens to be the planet of name, prestige and honour. Venus happens to be the naturl significator of arts, music and creativity, and Mercury happens to be the planet which symbolises the ability to express creative talents in a skilful manner. So, as all these planets happen to be in a harmonious combination, their combined energies get beautifully reflected in his performances and extraordinary talent. The strong planetary placement in the 7th House in his Natal Chart bless him with name, fame, prominence and honour, not only in India, but even in foreign countries. This made Pandit Jasraj an artist with phenomenal mass appeal. This yoga is sure to bless a person with extraordinary brilliance in the field of music, fine arts and creativity and also a melodious voice, if this combination takes place in association with the 2nd House or its Lord. 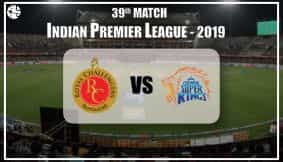 This Yoga is also known by the name of Budh-Aditya Yoga and is a Raja Yoga which blesses native with a fine understanding of the nuances of art and music and also with razor-sharp intelligence. What makes the combination of these 4 planets in Capricorn is the auspicious aspect of Jupiter from the 11th House. Jupiter happens to be the Lord of the 9th House in Panditji's Chart and the aspect ot this Jupiter on the 4 planets is the 9th House Aspect! Such benefic inter-relations of planets was sure to produce such a dazzling jewel as Pandit Jasraj! This also helped him to win innumerable honours, awards and great recognition for his talent. The presence of four Vargottammi planets in his chart made him fortunate to reach the greatest height and become famous as the classical singer in India as well as abroad. Thus, these four planets blessed him with steady, long run artistic journey and outstanding figure in the field of traditional music. The concept of singing at different scales and ragas is regarded as one of the most prominent contributions that Pandit Jasraj has given to Indian music. One of the rarest astrological phenomenon present in the Horoscope of Pandit ji is the 4 Varogottami planets, namely – Jupiter, Mercury, the Moon and Mars. This renders terrific power to the Chart and indicates great calibre of the native. 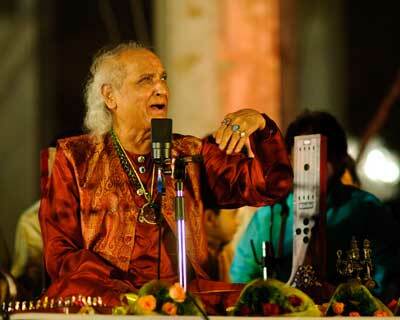 Due to this Pandit Jasraj has been able to achieve such glory in his chosen field. The position of Yogakaraka as well as Atmakaraka planet Mars (planet of energy and strength) along with the lord of the 7th House Saturn has blessed him with great popularity, love and affection of majority of the masses on the national as well as international level. It is interesting to note that in the vocal wizard's Chart, Mars not only happens to be the Yogakaraka, but also the Atmakaraka as well a Vargottami planet. This dignified Mars blesses him with great strength as well as the energy to perform for such long hours. Ganesha wishes good luck and great health to Pandit Jasraj.